I sit down. Arguing with him would be futile. We sit there, side by side, staring off down the arrow-straight road, and for a moment I don’t hate him. He pulls a cell phone out of his pocket and taps something into it, and then he turns to face me, frowning slightly. “What if I simplified the question? What if I say, do you believe in justice? 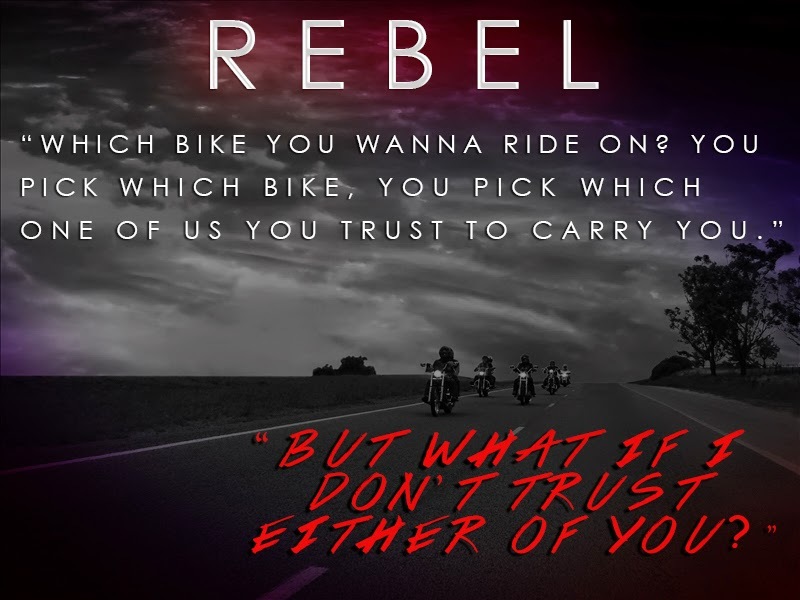 Rebel is the first of 3 in the Dead Man’s Ink series and can be read before, after or independently to the Blood & Roses series. Since being introduced to Rebel and Sophie in Callie Harts’ previous series, Blood & Roses, I have been so excited to read about this couple and I wasn’t disappointed. The book begins with Alexis (aka Sophie) witnessing a brutal murder and seeing things very far removed from her normal and predictable life. One minute she has a loving family and a nice boyfriend, the next she is sold. 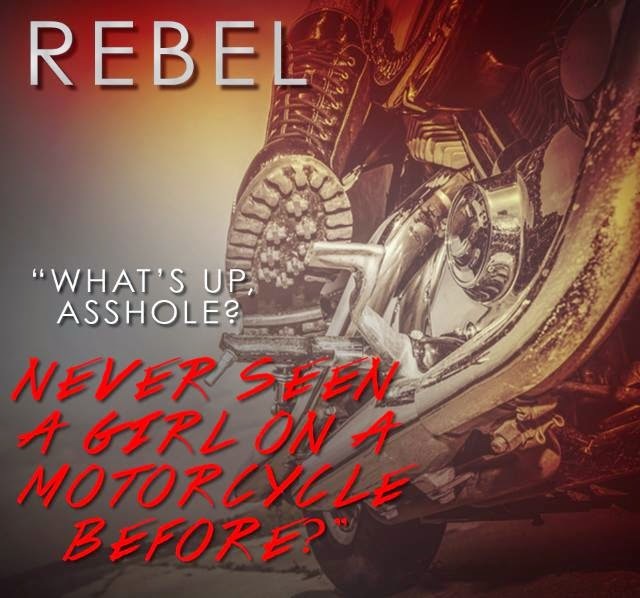 Her new owners are the Cartel, but somehow ends up being the property of Rebel, who is president of criminal motorcycle club, The Widow Makers. Rebel wants Sophie to help him bring down the Cartel leaders that killed the man she witnessed dying but he won’t force her to do anything she doesn’t want to do. He has to convince her to trust him willingly and for the first time in his life he is thrilled to find a woman who he has met his match with. A slow burning romance develops, Sophie is wondering if she is suffering from Stockholm Syndrome as she fights her attraction more and more as she discovers that Rebel is far from the person she thought he was when he first took her from the people who changed her life forever. Not only that but she is finding that with her name change comes a transformation within herself as a woman. Sexual tension is high and when Rebel finally convinces Sophie to trust him, the result is explosive. I loved Sophie, she was not a weak person and she stood up for herself and was a feisty heroine that refused to go down without a fight. Rebel was an enigma, he has so many layers to him and a history that deserves a book of its own. I loved how he was so honourable despite being a criminal and a killer. A fantastic start to what will no doubt be a gripping series. I am so excited about this book. After getting a glimpse of Rebel in the Blood and Roses series I had to know more. Callie Hart I know you'll live up to my expectations.